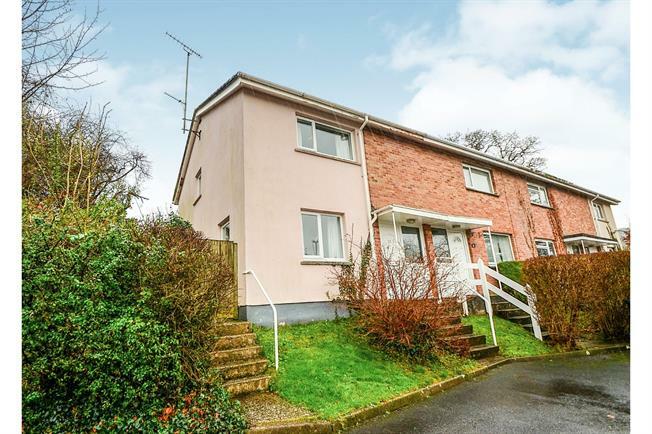 2 Bedroom End of Terrace House For Sale in Totnes for Offers in excess of £190,000. Upon entering the property there is a living room and separate modern kitchen diner with patio doors leading to a south facing rear garden. As well as this the kitchen leads to a separate utility room. Upstairs there are two generous double bedrooms and bathroom with separate WC. 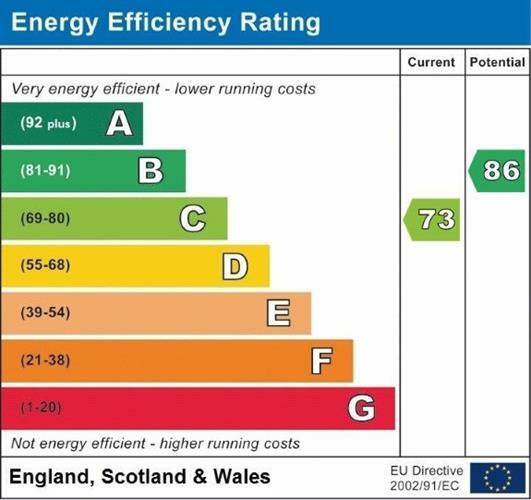 We highly recommend internal viewings. Double glazed front door leading to entrance hall with radiator and under stairs storage. Stairs ascending to first floor. Pendant ceiling light and carpet. Dual aspect double glazed windows to the front and side. Pendant ceiling light and carpet. Range of wall and base units with role top work surfaces, integrated dish washer and fridge freezer. Integrated gas cooker with four ring gas hob above and extractor fan. Integral stainless steel sink and drainer. Cupboard housing boiler. Double glazed window with side aspect, double glazed patio doors leading to rear garden and an internal door leading to utility room. Pendant ceiling light and wooden flooring. Range of wall and base units, space and plumbing for washing machine. Tiled flooring, pendant ceiling light. Double glazed door leading to rear garden. Partially tiled with laminate flooring. Bath with electric shower over, vanity wash hand basin. Pendant ceiling light and radiator. Double glazed obscure window to the rear. Airing cupboard housing hot water tank, loft access and radiator. Pendant ceiling light and carpet. Double bedroom with dual aspect double glazed windows to the side and rear. Pendant ceiling light, radiator and carpet. Double bedroom with double glazed window with front aspect. Pendant ceiling light, radiator and carpet. Two storage cupboards/ wardrobe. Low level WC. Double glazed obscure window to the rear. Laminate flooring and pendant ceiling light. Front garden is laid to lawn with a steps ascending to front door. Private and south facing rear garden with a variety of mature shrubs including Honeysuckle and Jasmine. Grass lawn area and stone patio area with a shed. Side garden with further shrubs and stone patio with access to the front of the property.